The waitress said to my grinning mother and I as we took our seats at the Brassiere of the Hallmark Hotel overlooking views of the River Humber and East Yorkshire’s symbol, the Humber Bridge. 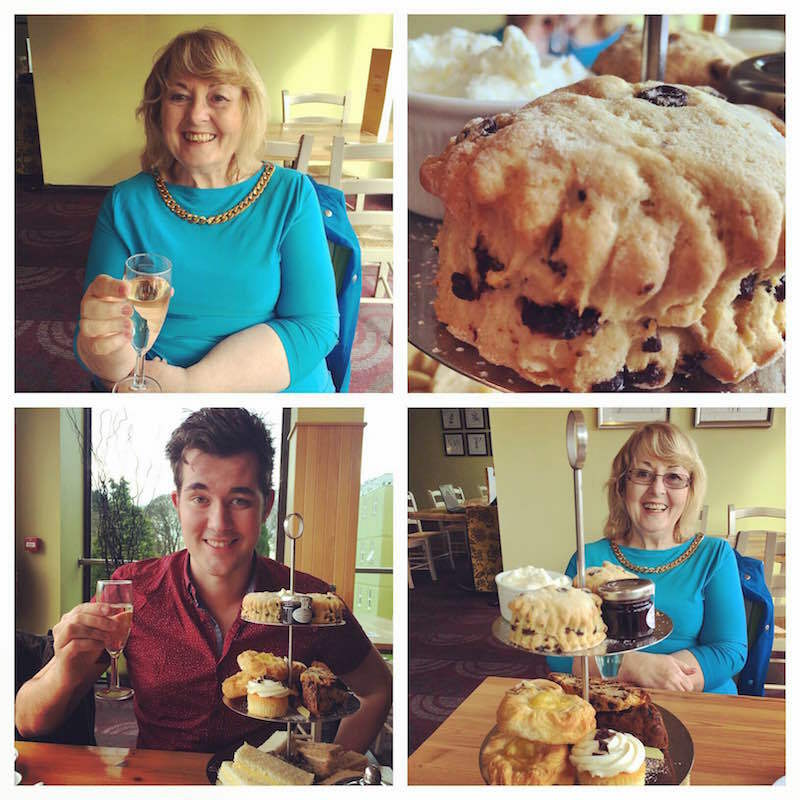 I had just surprised my mum with a sparkling afternoon tea for Mother’s Day and was she surprised! Glasses of Prossessco soon made into hands and we sipped, catching up with news in our lives. She looked excited in her beautiful blue outfit. It was her day. Our afternoon tea arrived on a dainty cake stand. At the bottom, a range of crust cut sandwiches with flavours from cheese, chicken and ham. Making their way to the middle, there were stomach busting cakes of fruit, cupcakes and more. But at the top, our personal favourite, scones with cream and jam! Our lips licking, we destroyed the sandwiches (a mild panic from mum wildly looking for cheese sandwiches as the lady sure loves cheese!) before swiftly moving on to scones. Half an hour, it was all over. Our stomaches were full up, still a few errant cakes yet to be eaten. I pushed the tray towards her to see if she wanted more. She waved me away before draining the rest of her tea. We had them packed up in a doggy bag instead. We really enjoyed the experience. The brassiere was quiet giving us a relaxing experience where we could comfortably chat. The service was very pleasant, with the waiter service happy and swift. We said bye as we made our way out, my mum holding on to my arm. ‘Thank you for that! It was really nice’ Mum said as she squeezed my arm. She slapped my arm and rolled her eyes at her son, knowing she would soon do so again! Happy Mother’s Day! You’re one of a kind!